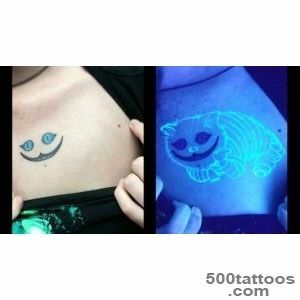 Today let's talk about one of the most controversial events in the tattoo art - UV tattoos . 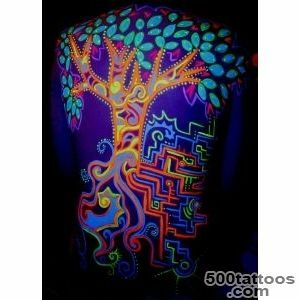 Compared with other types of underwear painting , is one of the most innovative on the one hand , and risk - on the other , ways to decorate your body . 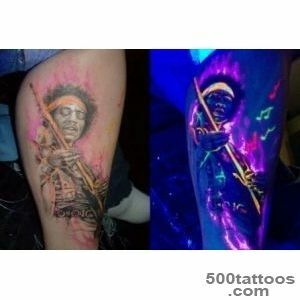 Of course, the emergence of the idea of ​​a tattoo ,which will only be visible in the dark and in the absence of light , said the club culture . 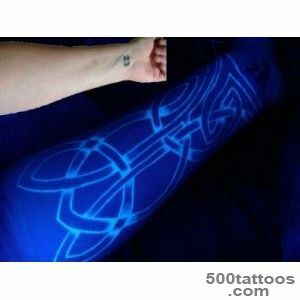 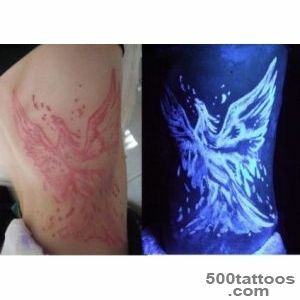 If you still do not understand what is at stake : UV tattoo applied special paint , which is not visible under normal lighting conditions , and appears only in its absence . 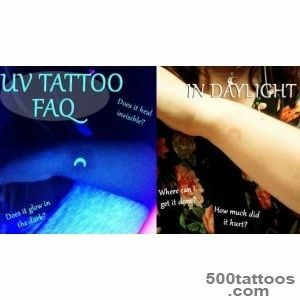 I have to say in this area has its opponents ,so in this article we will try to understand the key advantages and disadvantages of UV tattoos . 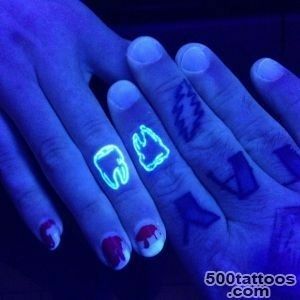 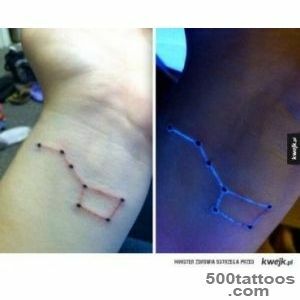 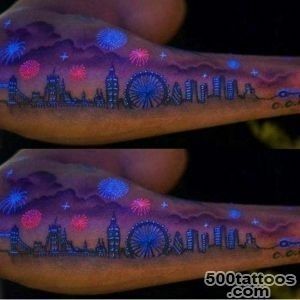 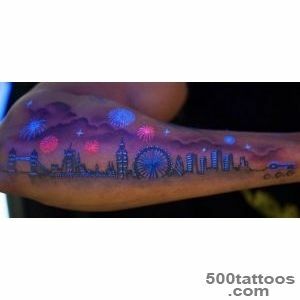 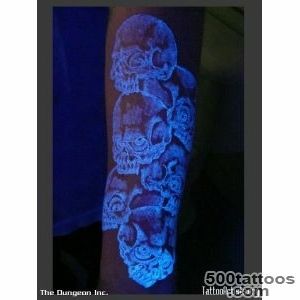 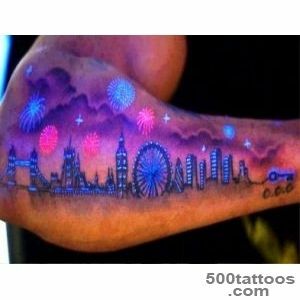 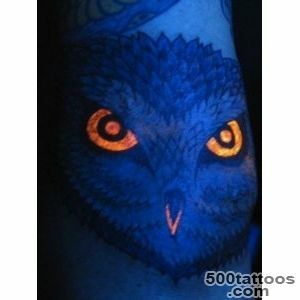 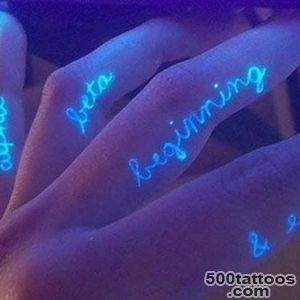 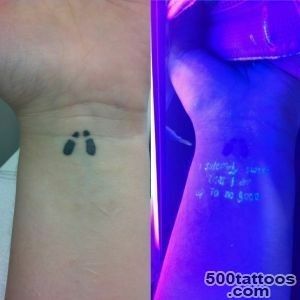 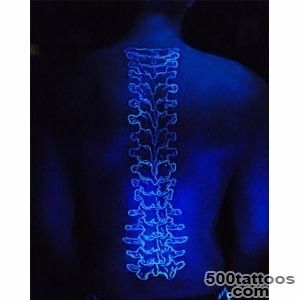 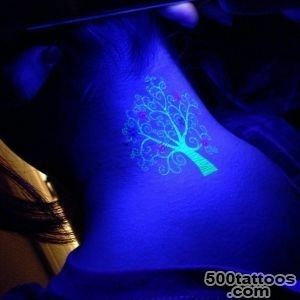 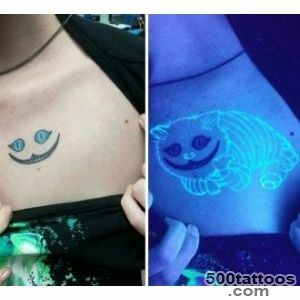 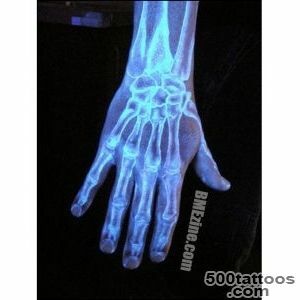 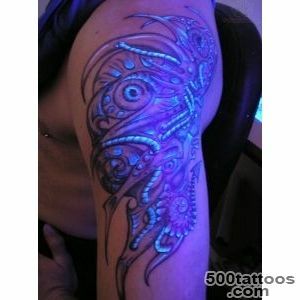 First, ultraviolet tattoos is certainly unusual and creative. 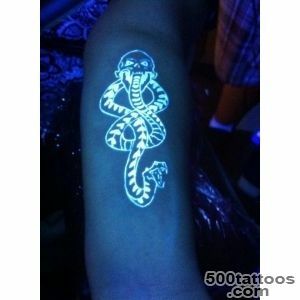 Almost every party you can stand out and be noticed . 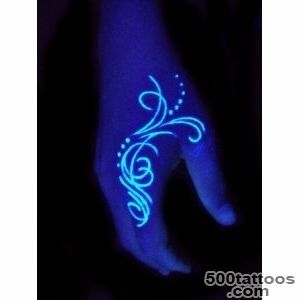 Of course, invisible tattoos that appear at night - a good outlet for office workers ,which beat whips for piercings and tattoos . 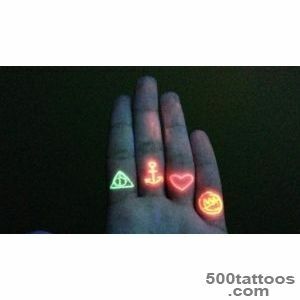 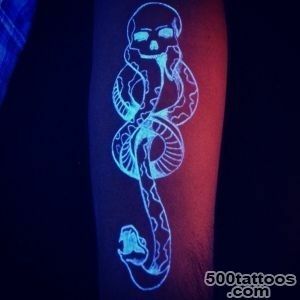 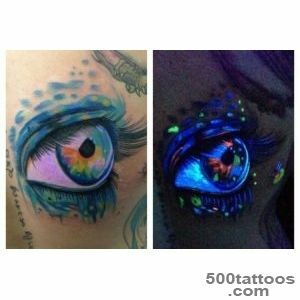 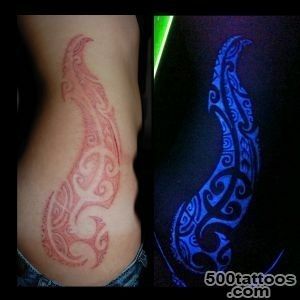 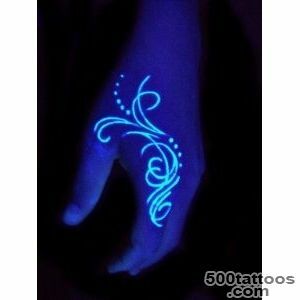 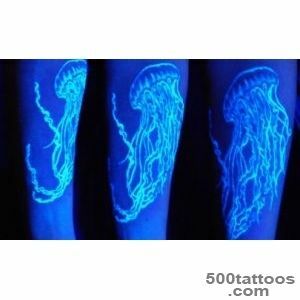 With the direction of the tattoo is not known by many, so that even in a nightclub like jewelry may look like a cheap or disposable perevodilki drawing fluorescent paint. 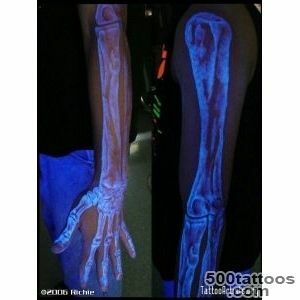 The main disadvantage is the possible dangers of a tattoo on the skin.Ultraviolet image gets a special pigment that , according to research , can lead to severe allergies, inflammation and even skin cancer. 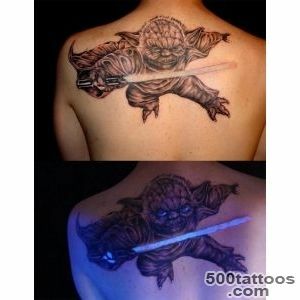 Therefore, few masters agree to do such work . 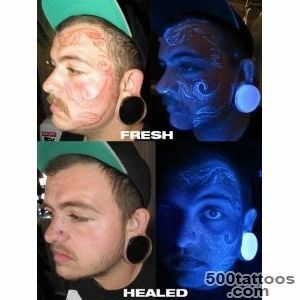 However, progress does not stand still , and now there are new types of dyes are less harmful to the skin. 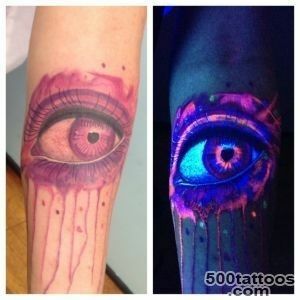 Another minus - the price.Ultraviolet ink is much more expensive than usual , so that this type of work can fly you a pretty penny . 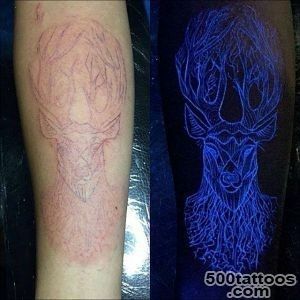 Well, we wish you treat your body wisely and not to sacrifice them for the sake of art .